Understanding and keeping up with your businesses health is, frankly, necessary to your business success. It's important to know how various benchmarks work for your specific restaurant, cafe or brewery. Prime costs benchmark is 60% (quick serve) and 65% (restaurant). Now, you might be reading this and saying, "Now, remind me, what is prime cost again?" That's why I am writing this blogpost. Here are the four things you need to know, to get out of financial panic, and into financial calm and success. Don't think you have to do this every week all on your own. Instead, do this weekly with your teams help. Set the expectation that you and the team will be capturing these numbers. Teach them what them mean, they'll start using their brainpower to help the business get better and stronger. Here's how: actual cost of goods sold start with your beginning inventory, add to it your total purchase for that period (in this example, let’s say one month), then subtract your ending inventory. The sum of this calculation will give you your total cost of goods sold (the total of all product you physically used or left your shelves during that month). Total labor cost includes not only the total wages your employees have earned for that period (again for this example we will use a month). This is where most restaurants stop. Please includes total taxes, benefits and any insurances paid (workers’ compensation and health insurance). The prime cost percentage is the prime cost into the sales of a day, month or quarter. The benchmark for prime cost percentage is 60%. If you want to delve into that percentage benchmark I'd recommend RestaurantOwner.com. Here's an article for you. 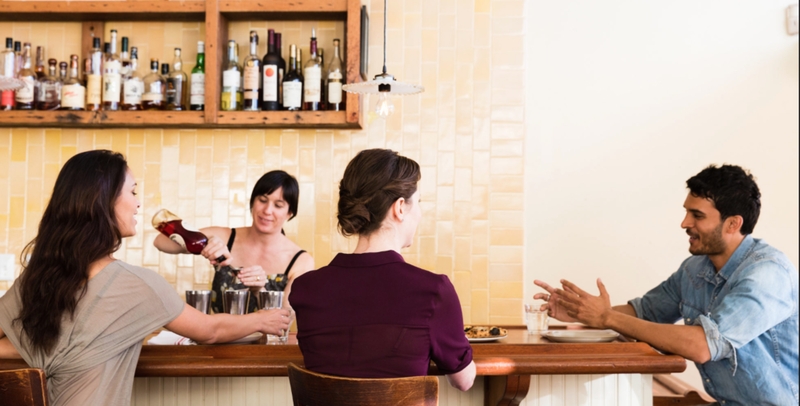 Taking care of your restauarant, cafe or brewery means addressing and knowing your numbers. Get your staff involved in pulling inventory, checking labor costs and creating a weekly prime cost formula come alive. To know your inventory means you have a pulse on your business. Inventory is elemental to your business. It'll allow you to tune in to products that are moving. You'll know what is selling and what is not. Based on that knowledge you can chose to go with the strengths of your business, eliminate your weaknesses. Hopefully you know your labor percentage on a daily, weekly or monthly basis. But payroll and benefits allow you the full picture. Here is an example: A restaurant might have achieved a terrific low labor percentage, that's the good news. But don't forget that the manager may be receiving a bonus at the end of the year for a job well done. If you have spent much time following me, listening to me, you'll know that I love encouraging owners to make anything a habit. With prime cost, there are a few habits. Do your inventory. Pull your labor numbers. Face your payroll number. Remind yourself of the benefits you've offered your smart staff. And have your smart staff help you accomplish all these All those items can be set up, and carried out by your staff and your POS. Then, the next step is to make it a regular practice, a habit, of facing your financial picture. Those habits support your organized, methodical way of doing business. Yes you need to be disciplined and organized enough to set up the system (inventory, checking your labor percentages), Then checking those numbers will happen regularly. Habitually, you might say. To get your prime costs you need to regularly address your numbers--your food and beverage costs, your labor costs, your payroll. To accomplish the prime cost task you will have to habitually have staff doing inventory, you'll check your labor costs, and payroll costs. Sitting down and getting your prime cost will be much easier. Allowing time to address the numbers with your staff is a habit worth forming.